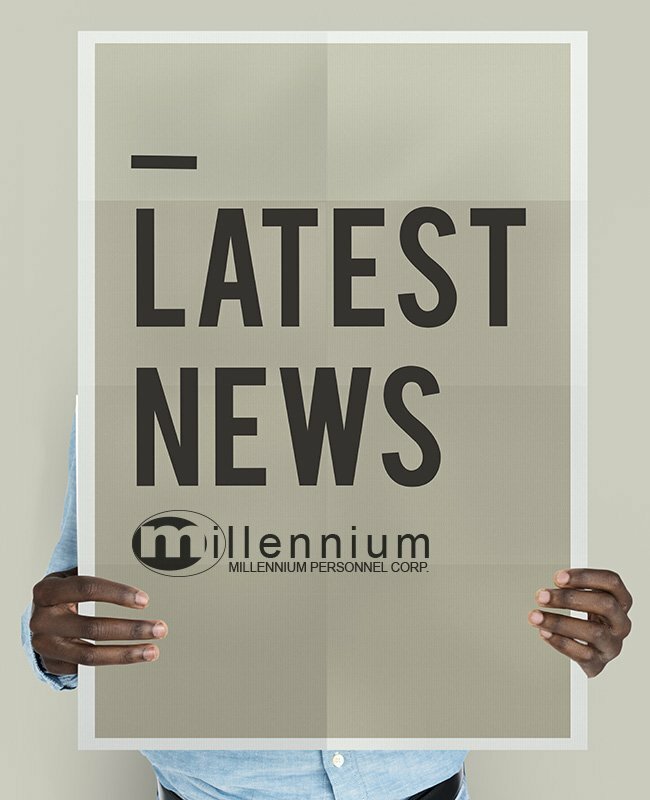 News | Millennium Personnel Corp.
Gone are the days of having creative resume formats for creative industries only. Today’s top resume trends call for artistic resumes across all industries and positions. It’s best to ensure that your resume visually pops so that it isn’t passed over. But, be careful. There is a very fine line between professional and wacky. Now is the most popular time of year to change jobs. Bonus season is over in the NYC job market and job hunting season has begun. For many companies this can leave positions open in both the administrative and executive level. But in today’s candidate driven market, how can hiring managers and human resource directors ensure that they get the best talent for the firm? Career paths can be confusing. Whether you are a recent college grad just starting out with your first administrative gig or a seasoned CEO with years of experience, a mentor can be essential for many reasons. Mentoring is important because can provide not only skills and education, but also professional socialization and personal support. Quality mentoring increases the chances for success! For many firms, the onboarding part of staffing has become a legal routine for Human Resource Managers. The first day of employment starts with the typical paperwork, which is handed out by Receptionists and the long explanations of benefits and perks. This can be grueling and confusing. Many firms focus on the legal aspects but forget the social implications. However, it is critically important that companies use this time to provide a positive experience for their new talent and get them engaged in the corporate culture. Working with a recruiter or job placement agency is an excellent idea for all job candidates. Recruitment firms can assist you by speeding up the process. If you’ve never considered a Recruiter before, here the top five things to remember when working with one! After countless hours spent on revamping your resume, job seeking online, meeting with recruiters and staffing agencies and going out on interviews, you finally landed a new Administrative Assistant job! Hiring trends change just like the weather. There is always a new “it” thing happening or a latest movement to follow in order to keep in line with the job market. It doesn’t matter if you’re hiring for an administrative assistant or a high-level CEO. The rules are the same. However not all hiring trends are created equal. Year end is usually the slowest hiring season. Managers are not thinking about resumes or interviews for year-end hiring. But, here’s why they should.